The countdown is on. In one week from today, 7 days, I go back to the doctor and hopefully I will be released to run. I have worked so hard over the last 5 weeks keeping my cardio up so that when I get to run again I wont be so far behind and now it's getting so close. I have some concerns. I hope I can run with no pain and I hope my brace doesn't get in the way to bad. I want to be able to run but not at the expense of my future. I want to play with my kids in the yard one day and not have to tell them that I cannot do it because I was determined to be a runner when I was 27 and now I cannot play without pain. So all that being said, I will not just give us on being a runner. I have a couple of fun runs and events coming up that I am extremely excited about. For starters I have been lucky enough to be asked to coach with a No Boundaries team. My running partner is the Head Coach so I had an "In." ﻿The program is designed to help beginners train for a 5k race. 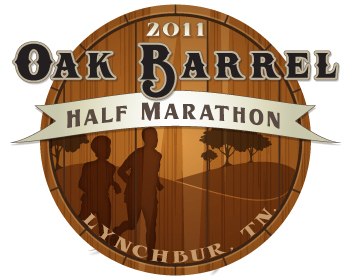 Its 10 weeks and for the Grand Finale we will run the Cotton Row Run in Huntsville on May 30th. I like this program because running doesn't start with a Marathon, it starts with one run, 1 mile or 1 minute and hopefully this can keep people motivated and keep them coming back for more. Its a group effort, every one is a beginner, no judgement, just fun and running. And you get to do a race at the end! Then the first week in April I will be returning to Lynchburg, TN to defend my title run the Oak Barrel Half-Marathon. I enjoyed this race so much last year, minus the bloody feet, but this year I think I can do better. I think I can rock this out. I was hoping to beat my time by 1 hour from last year but since I haven't been able to train I will just take beating my time, period. Oh the excitement is too much. I cant wait to feel the concrete under my feet again! The one who absolutely hates running, but who admires those who do. Best of luck with it. I'm with Leanne - can't abide running myself, but very supportive of others who do! Jane you should come run this half with me. I might need a little bit of help around mile 7. I haven't run more than 7 since the full. I'm so excited about no boundaries. I think it is going to be a blast. I want more information on the No Boundaries program!!! Please help me learn to run!! !